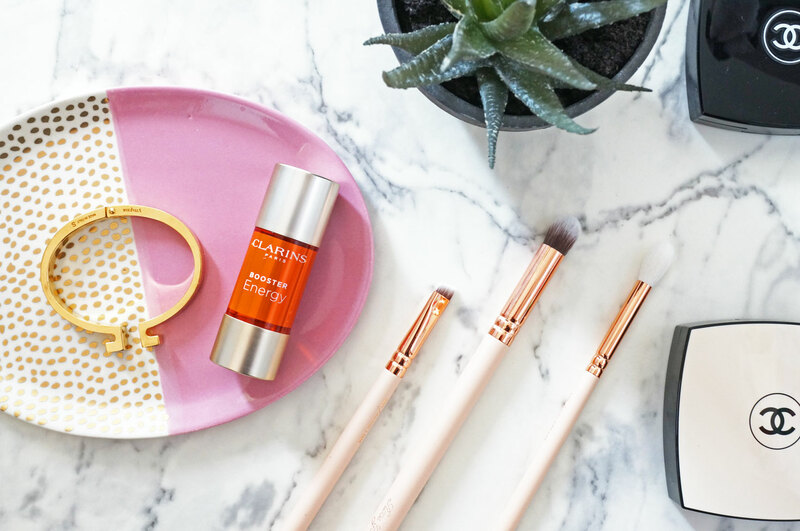 Clarins’ latest offering to the world of skincare is something a little different – and I think I rather like it! They’ve come up with a range of ‘Boosters’ – basically highly concentrated products for specific concerns, and you just add a couple of drops of to your current skincare or foundation, as and when you need it. So for example, if you’re feeling a bit run down you might make sure you get some extra Vitamin C into your diet, with Clarin’s Boosters, if you’re feeling a bit under the weather you might add a couple of drops of the Energy Booster to your moisturiser to perk up, of if you’ve had a hard night on the tiles you could add some Detox Booster to your foundation the next day – this one pretty much explains itself! I just love the theory behind these range or products, and they couldn’t be easier to use – you just mix 3 to 5 drops with your moisturiser, mask or foundation, and apply as normal – easy! Clarins Booster droppers will be available from April, at £30 each.